Veterans Memorial Manor, a clean modern, five-storey apartment-type building located in the heart of Vancouver’s downtown east side is a “home with a heart” for 134 veterans. Just across and down the street from the new concrete structure are several old run-down wooden rooming houses, some with yellowed “Room for Rent” signs in their dusty windows. 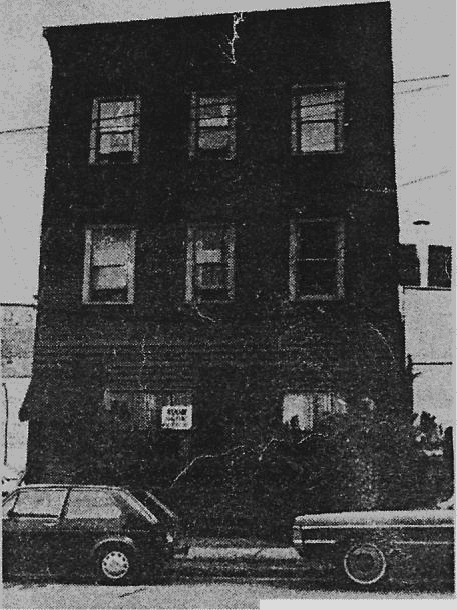 Rooming houses like these are likely to be home for the estimated 900 veterans living in this overlooked portion of Vancouver’s inner core – as they had been in the past fr most of the 134 single men that now reside at 310 Alexander Street. Veterans Memorial Manor, which officially opened its doors on August 27, 1986, is the first residential complex of its kind for Veterans in Canada. The idea for the project began when a group of Vancouver-area Veterans became concerned about the often seriously inadequate living conditions of many of thier comrades who lived in Vancouver’s downtown eastside. 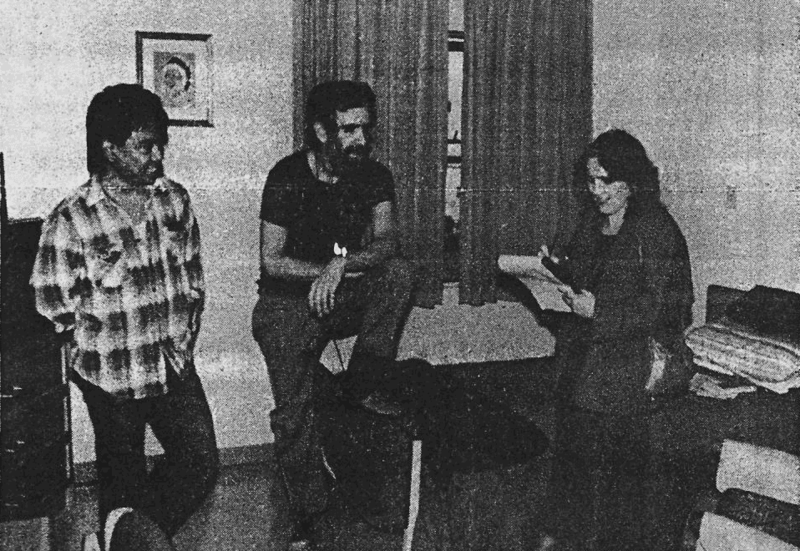 These concerned indivuals formed an organization called the Veterans’ Memorial Housing Society, drawing members from both the Royal Canadian Legion and the Army, Navy and Air Force Veterans’ Association. It was the first time these two great veterans’ organizations cooperated in a joint venture of this nature… a true example of “Veterans Serving Veterans”. Rooming houses and hotel rooms in Vancouver’s Downtown Eastside are home for an estimated 900 veterans. The goal was to design and build a residential complex with both sleeping and housekeeping units – complemented by common living and recreational areas – to serve a wide cross-section of veterans living in the area. Many of the resident have had serious problems with alcohol or in coping with day to day living, and in order to accommodate the more difficult cases,it was decided that the building would have eight units that could be supervised 24 hours a day. Every effort was made, at the design stage, to make the complex, safe, comfortable, and yet reflect the needs of the veterans. A lot of hard work. including many hours of volunteer effort, was spent in negotiations with federal and municipal government departments in order to secure funding. Canada Mortgage and Housing Corporation, the federal housing agency, provided assistance under the non-profit Rental Housing Program. This assistance is approximately $324,000 per annum and is extended to reduce occupancy charges for the residents. Veterans Affairs Canada committed $50,000 annually over five years to cover staffing costs at the residence. The City of Vancouver also got in the spirit and agreed to a write-down on the land lease to 75% of market value. In addition the City provides an operating grant to “Club Forty-Four” which is located adjacent to the residential complex. 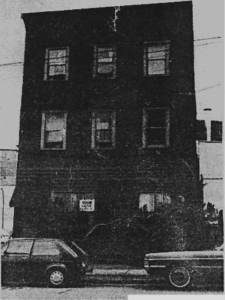 Formerly located at 44 East Cordova where it had operated for 10 years, the new “Club Forty-Four” is a home away from home . to its regular customers, providing a drop-in activity centre and reasonably priced cafeteria meals for residents of the Downtown Eastside. The ground breaking ceremony for the $4.5 million building project was held on a rainy February 15th, 1986. Howard Green, former Minister of External Affairs and a life member of the Royal Canadian Legion, along with Arthur Westmoreland. a life member of the Army, Navy and Air Force, braved the torrential spring rain to do the job. It was a great day for everyone who had worked hard to get the project off and running … a big step closer to the Society’s goal of providing a home for their comrades. 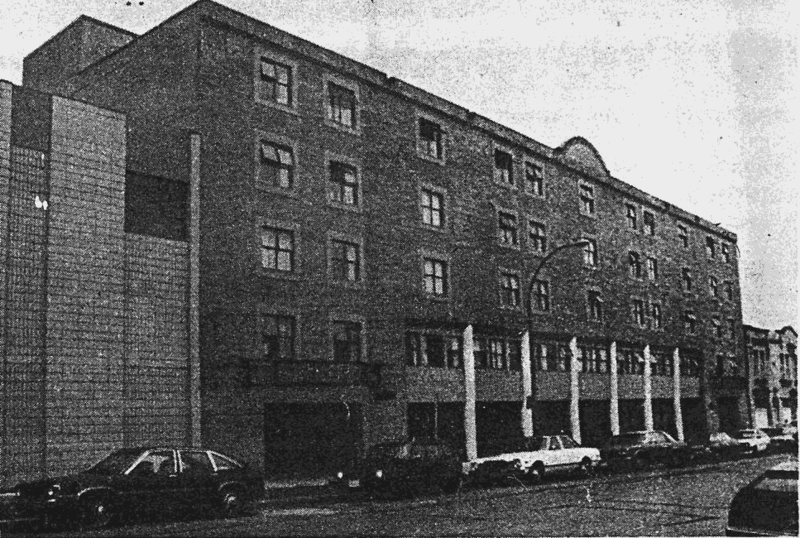 Joe Wai and John Currie were the Architects for the attractive complex with Gauvin Construction Company being the main contractors. Veterans Memorial Manor was officially opened on August 27, 1986 by the Minister of Veterans Affairs, the Honourable George Hees and the Honourable Stewart McInnes, Minister Responsible for Canada Mortgage and Housing Corporation. A plaque commemorating the occasion is proudly displayed in the Manor lobby. During a recent tour of the complex. it’s obvious the Society has not only accomplished its goals, but done it exceptionally well. Entering the building on a typical cool rainy spring day, we stepped into a warm and cozy atmosphere. Men in the brightly decorated lounge area were playing cards, watching television, reading or conversing with one another. Inside his accessible office on the main floor. Stewart Kelly was dealing with a million and one details … worrying about a veteran who was late getting back from a walk … answering· phone calls and dealing with visitors … and yet still taking the time to greet residents cheerfully by name. It’s obvious the Society found the right man for the job!. Inside a typical room of Veterans Memorial Manor, Vivian Danielson of the Veterans Advocate talks to Korean War Vet Bill Clint (centre) while tour guide Ron Orasa looks on. During our tour, we were told that the level of supervision varies from floor to floor within the five-storey project: according to the needs of the residents. Each floor is colour-coded and there are storage rooms and a garbage room on each level. There are also 16 handicapped rooms that were designed to easily accommodate wheelchair-hound veterans. The first and second floors are non-cooking or sleeping rooms, while the housekeeping rooms are located on the third, fourth and fifth floors. In all cases, linens are supplied. The rooms are furnished with attractive modern furniture that is scratch resistant, fire resistant and has no sharp corners. The furnishings for each room were donated by branches of Veterans and service organizations, as well as from civic-minded individuals. Each room has a T.V. and phone hook up. All lamps are securely mounted and each room has windows that open from the top. Because many residents smoke. the concrete building is completely fire-proof and each room has a smoke detector and heat sensing detector. During our tour we had the opportunity to chat and visit with several of the residents in their rooms. William (Bill) Clint, who served for three years in Korea with the Princess Pats, has lived at the manor since it opened. He was enthusiastic about the residence and takes obvious pride in his neat room which has a small kitchenette. “I love this place,” he told us. We also visited the room of John Wilson, a WWII Navy man. His housekeeping room was so “ship-shape” it could pass muster from even the meanest,toughest Rear Admiral that ever served in any Navy. The well organized kitchen and closets, spotless floors and shining kitchen appliances would put even the most impeccable housewife to shame. We were told Mr. Wilson is a recovering alcoholic whose life has changed dramatically since coming to live at the Manor. Life at Veterans Memorial Manor doesn’t appear to be boring or “Institutionalized” and each resident contributes his life experiences for the benefit of all. One resident was a former Master Baker and contributes by baking wonderful pies and baked goods. Another is a gardener and up on the roof of the complex, a donated Greenhouse provides the opportunity for him and other “green thumbs” to find expression. Arts and crafts are popular and a kiln was recently donated. There is also a great deal of visiting by family and friends with visitors allowed to stay until 11 p.m.
Veterans Memorial Manor works because each resident in some way enriches the lives of the others: the comradeship and caring are very evident. The only sad thing is there is only one Veterans Memorial Manor. We agree with the Veterans – we need a good many more. Veterans Memorial Manor is a success story not only for the Veterans that live there but also for the group of civic-minded veterans, private citizens, government and service organizations that worked together to make it happen.